Adulthood comes with a lot of responsibilities. There are bills to pay, appointments to schedule and lots of things to maintain. When your life is consumed with fulfilling these roles, you can easily forget about planning ahead. Can I Sell My Term Life Insurance Policy for Cash? When Does Term Life Insurance Expire? What's the Difference between Term Life and Permanent Life Insurance? Which Company Is Best for Term Life Insurance? Is Group Term Life Insurance Taxable? Is Globe Life Insurance Term or Whole Life? How to Cancel Term Life Insurance? How Much Does Term Life Insurance Payout? Can You Borrow Against Your Term Life Insurance? Can You Borrow Money Against Your Term Life Insurance? What to Do When Your Term Life Insurance Expires? Why is whole life insurance bad? How to borrow from whole life insurance policy? What is whole life participating insurance? Where can I buy whole life insurance? What is a guaranteed whole life insurance policy? What is universal life insurance vs. whole life? Can you cash out a whole life insurance policy? What happens if you cancel a whole life insurance policy? What are the best whole life insurance companies? How to use whole life insurance to pay for college? Is whole life insurance a good investment for retirement? Should I buy whole life insurance for my child? Is whole life insurance a good investment for a child? In today’s world, a significant portion of the population puts off retirement planning indefinitely. As responsibilities and families grow, however, many people consider purchasing life insurance to protect themselves and their loved ones. 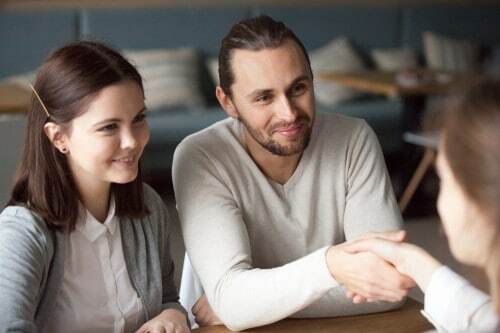 It’s easy to get confused when shopping for life insurance, especially if you’re trying to distinguish the difference between whole and term policies. Many people face this conundrum. Often, confusion starts when someone tries to figure out which policy is right for them. In general, life insurance serves as a financial safety net that protects people that you care about if something happens to you. In the event of your passing, life insurance policies ensure that your family members can continue to pay for their expenses and needs. Term and whole life insurance are two common types of coverage. Overall, they provide similar protections. Yet, there are major differences between the costs and benefits of these two kinds of policies. It’s important to know the difference between these two financial vehicles so that you can make the best choice for your family and yourself. Deciding whether to purchase term or whole life insurance is usually the first consideration of many policy shoppers. The details involved in buying a life insurance policy are sometimes complex. Both kinds of insurance – term and whole – have benefits and shortcomings. On the surface, term life insurance is easy to understand and affordable, while whole life insurance is permanent, but more expensive and complex. These points, however, aren’t the only factors that you need to evaluate when choosing a policy type. You must know what makes them different and how the policies can provide for your current status in life. Upon taking a closer look at these two kinds of insurance, one type of policy can earn interest at a pre-established rate. The other may increase in cost annually or remain the same, depending on the arrangements made by your insurer. Insurers will never cancel one kind of policy, but that same instrument will hold no cash value upon its termination. Also, one policy type bears interest, but may not serve as a good investment vehicle. 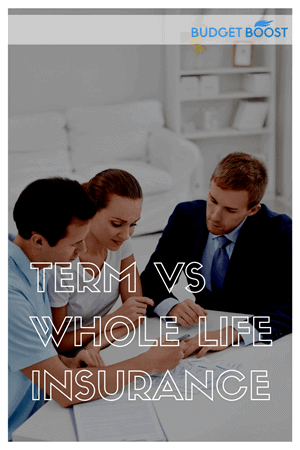 There are important differences between term and whole life insurance, but there are also some things that these two policies have in common. It helps to understand basic terminology, for instance, that can apply to either kind of coverage. In contractual terms, the “policyholder” is the owner of the life insurance policy. The “premium” is what the policyholder pays – either monthly or annually – to keep a policy active and prevent it from lapsing. The “death benefit” is a tax-free lump sum paid out to beneficiaries in the event of the passing of the policyholder. A “rider” is a customized, legally binding policy provision issued by the insurer, and “underwriting” refers to the process where the insurance company reviews applicants’ financial and medical history to determine the rate of the policyholder’s premium. Once a policyholder passes and the insurer pays the death benefit, all contractual obligations held by the insurer are terminated. Term life insurance is pretty straightforward. It’s an easy way to protect your family if something happens to you unexpectedly. It’s very similar to car and home insurance. With a term life insurance policy, you’ll pay your premium monthly or yearly. As its name implies, it covers policyholders for a designated period of time. The term designates how long the policy is active, and the policy expires after the agreed upon time. Your family is protected for the “term” of the policy, which typically lasts 10 to 30 years. Policies, for example, might last 10, 20 or 30 years. 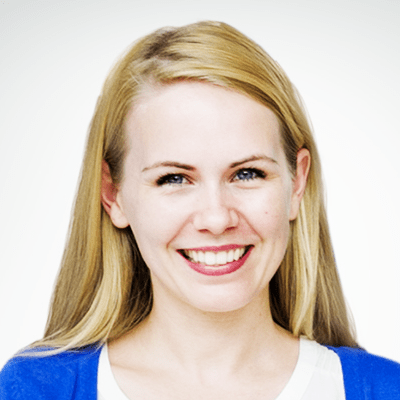 Term life insurance is typically the choice of younger buyers. It’s basic, affordable and allows policyholders to funnel funds toward other goals such as investments or retirement. This is not the kind of policy that you’d buy to create a tax shelter. Furthermore, if you’d like your policy to pay dividends, you’d want to consider an alternative whole life insurance policy. Either way, you’ll benefit greatly by enlisting the help of a life insurance professional in making your final decision. Sometimes, term insurance is referred to as “pure life insurance.” What this means is that this type of coverage is designed to protect your family in the event of your premature passing. If, for example, you passed away unexpectedly during the term of your policy, the beneficiaries that you listed will receive the payout. Other than this, term life insurance policies hold no other value. The payout on term life insurance policies is called the death benefit, and the premium typically remains the same for the duration of the policy. For this kind of insurance, you want to structure your policy so that – in the event of your passing – the death benefit will cover the kinds of expenses that your family would have to pay in your absence. This is a detail that warrants careful thought because identifying all expenses isn’t always as easy as adding up current bills. For instance, would your spouse have to pay for a babysitter in your absence? In many cases, term life insurance can fulfill your family’s needs, but sometimes a more permanent solution such as whole life insurance is more suitable. Term insurance is great if you only need extra coverage for a specific phase of life. This might include, for example, the time before your children reach adulthood or before you finish paying your mortgage. As an aside, in some instances, you can purchase term insurance that will convert to a whole life policy. It’s important to discuss this option with your policy provider. More than likely, the cost of your policy will remain the same for the length of your term life insurance coverage. This is called a “level premium.” Additionally, the death benefit will remain the same. There are, however, variations of term life insurance. For instance, your insurer could create a rider for decreasing term insurance with premiums that remain relatively low, but with a death benefit that diminishes as each year passes. Initially, this may seem like a lot of information, but term life insurance is extremely straightforward. For this reason, many people choose this as their first kind of life insurance, in addition to – of course – it’s lower-cost. Because term life insurance is in a sense a stripped-down whole life insurance policy, there are no additional fees or maintenance costs. Therefore, term life costs much less than whole life insurance. Because of their simplicity, term life insurance policies are easy to understand. They lack hidden fees, exclusion or risk clauses. Additionally, you can cancel a term life insurance policy at any time without worrying about it losing value. However, when you cancel the policy, you’ll lose your coverage, so you’d have to find a new policy or convert your current policy into a new one to stay protected. In some instances, term life insurance is a good choice for people who believe that they will accumulate wealth at some time in the future. In other words, it can be a good policy choice for those who believe that they won’t need a future financial safety net. Conversely, policy buyers who believe that they’ll need a safety net in their 60’s or 70’s may want to opt for a more expensive whole life policy or convert their current term life policy to whole life insurance. When your term life insurance policy expires, you can renew your coverage. However, it’s very likely that this will be more expensive, making whole life insurance a more attractive offer at that time. Whole life insurance policies are designed to provide stability. They are a permanent life insurance instrument that provides lifetime coverage. They’ve become especially popular after the 2008 to 2009 financial crisis. To start, whole life insurance is more expensive than term life insurance. This is because whole life policies build cash value, contributing to their higher cost. In other words, as you pay your premiums, a portion of it becomes available to borrow against our cash out. When you purchase a whole life insurance policy, the insurer puts a portion of your funds into a deposit account that builds cash value over time. At some point, you can withdraw the accrued value of your whole life insurance policy without incurring taxes. As a supplementary benefit, whole life insurance policies are a tax-deferred way to save money. This money is available if you should ever need it. In some instances, you can also borrow against your whole life policy or terminate the policy in exchange for a cash payout. You’ll have to repay policy loans with interest. If not, you may lose some of your death benefit. In a worst-case scenario, you’ll lose your policy and have no life insurance coverage. As a note of caution, you must make sure that you follow all tax laws when withdrawing funds against your policy. If you make a mistake when withdrawing funds, it could cost you a significant amount of money in taxes. Whole life insurance policies are typically available with traditional, variable or universal coverage. As long as you pay your premiums, however, whole life insurance normally costs the same throughout the duration of the policy while providing lifelong protection. It’s important to understand how much you’ll have to pay for the duration of your insurance policy. There are cases where insurers have set up a whole life insurance policy where the rate changes over time, requiring policyholders to switch to term life insurance to keep some type of coverage because it has become too expensive. This is an unfortunate predicament you can avoid simply by asking questions. With whole life insurance, the death benefit is guaranteed. The cash value grows at a predetermined rate. Some policies also issue annual dividends or a portion of the insurer’s financial surplus. It’s important for policyholders to understand that dividends are not guaranteed. There are some variations available for whole life policies. “Limited pay” policies, for instance, provide coverage that policyholders only pay for over a designated amount of time – for example, a policy that lasts 20 years or until the payor reaches retirement. After this designated time passes, the premium for the same policy would increase. “Single pay” policies are where policyholders pay a single, lump sum for their policy, rather than making annual payments. “Graded premium” policies include premiums that increase over a designated time, while “adjustable life” policies provide death benefits or charge premiums that can be changed as needed. Whole life policies do not expire. You can keep them as long as necessary. Because they accumulate cash value, they can serve as a part of an overall personal financial or estate planning strategy. Whole life insurance is not something that you should view as an investment vehicle. With the current economy, some find that they must purchase less coverage than they need or terminate their policies prematurely. Furthermore, because the interest rate is so low for whole life insurance, you’re better off looking for other ways to invest your money if you want to make your money work for you. Term life insurance is inexpensive and doesn’t hold cash value. In many instances, this kind of policy doesn’t pay off because the policyholder outlives the policy. Still, it’s better to have this protection than to leave your family unprepared for an emergency. If you knew when an emergency was going to happen, you wouldn’t need life insurance. Whole life insurance policies are more expensive, and the coverage lasts for your entire life. In addition, whole life policies build cash value over time, and some insurers issue policies that have a guaranteed rate of return on a portion of your premium. Some people are single or haven’t given birth to children. It’s very likely that these individuals haven’t thought much about life insurance since no one will have to pay their expenses if they pass. Or, will they? Funeral expenses are a cost that must be covered for everyone. Additionally, policyholders can use life insurance as a vehicle to retire debt. The laws concerning this vary by state. If you have anything to pass on to an heir, state law often mandates that debtors are paid before assets can pass to beneficiaries. A life insurance policy is one way that you can ensure that you gift your assets to someone in whole in the event of your passing. Life insurance policies can cover important expenses such as debts, mortgages, car leases and credit card balances. Policies are a great way to ensure that your estate will pass on in its entirety to your loved ones. It’s important to note that this can prove tricky with student loan debt. Federally sponsored student loans, however, are typically forgiven upon the recipient’s passing. Also, Parent Loans for Undergraduate Students (Plus) Loans are also discharged when the debt bearer passes away. Private loans, however, are different. Resultantly, it’s important to maintain life insurance to cover this kind of debt, as banks will seek every avenue possible to recoup their investment. Purchasing life insurance is an important responsibility. It’s in your best interest to consult a professional when completing this important task. In addition, everyone’s different. What’s right for you depends on your unique situation. In today’s digitally connected world, you can find online agents and brokers that will allow you to quickly purchase a policy. However, if you want lifetime coverage or have complex circumstances, you’re more than likely better off speaking with an agent in person. A veteran life insurance agent can guide you in the right direction. Previous generations are familiar with meeting with insurance agents face-to-face all too well. Despite modern advances, the old school way may be the best method to secure life insurance in many cases. Still, if your life insurance needs are simple and straightforward, you may make out fine using an online agent. Online agents can help you acquire quotes as well as apply for and buy coverage over the Internet. Some online agents sell policies for a specific company. Others search various insurers to find the best deal for your current circumstances. Now that you have a better understanding of life insurance, you’re well-prepared to make an informed buying decision. Whether you decide to purchase online or in person, life insurance is a part of sound financial planning. It’s just as important as savings and retirement. Investments and long-term financial planning will help you live a more comfortable and secure life. Life insurance ensures that this continues for your family and loved ones. It protects people who depend on you for income. When major life events arise, it’s a good time to review your current life insurance. This might include getting married, having children, changing your job or career or buying a house. These kinds of events can make a major difference in whether or not your current policy is effective. An experienced life insurance agent can help you to evaluate your changing needs. Furthermore, it cannot be overemphasized how much an in-person consultation can help you choose the right life insurance. There are times when all your expenses are not readily apparent. An experienced agent can point these instances out easily. More important than anything else is that you follow through with acquiring a life insurance policy to ensure financial stability for your loved ones. The right policy will ensure that your family remains safe and sound, no matter what happens. Now you know some of the basic principles of life insurance. With research, patience and planning, you’ll have a better understanding of the details of policies as you shop for the best deal to protect you and your loved ones. This section answers questions about the basics of term life insurance. Use this information to prepare yourself for more advanced questions. Term life insurance is a specialized life insurance product that pays out if the insured individual dies during the term of the insurance. The term is a set number of years. Term life insurance gives a set number of years where the insurance company will pay out if the insured individual dies during that time. Once the term expires, the insurance will no longer pay out. That depends on several different factors. Your age, occupation, health, the term, and the amount of coverage you’re looking for all influence the cost of a term life insurance policy. For many people, yes. Term life insurance provides extra protection for people that are expecting to work and generate income for the length of the term. Term life insurance makes up for the income that would be lost by the insured person’s death. Only if your policy is convertible to a permanent life insurance policy. However, standard term life insurance policies cannot be sold for cash. There are several different options for how long a term life insurance can last. Policies are usually sold in 5, 10, 15,20, 25, or 30-year terms. A 10-year term life insurance policy is one that will pay out if the insured individual dies within 10 years of the policies activation. After that, the policy is complete and will not pay out. That depends on what kind of term life insurance you have. The term will be listed in your policy and will likely be 5, 10, 15, 20,25, or 30 years. Term life insurance only has cash value if it is convertible insurance that can be transferred into a permanent life insurance policy. Otherwise, the policy has no cash value. Once the insured individual dies, the insurance company will request a death certificate. Upon receiving the certificate they will send a payment, usually via check, to the policy’s beneficiary. There are a few different options when it comes to term life insurance. This section answers questions to help explain the different options. Group term life insurance is an employment benefit that employers offer to employees. It provides a base amount of coverage and the possibility of supplemental coverage through payroll deductions. Direct term life insurance is a type of term life insurance where the insured deals directly with the underwriting insurance company instead of getting the policy through an insurance broker. Level term life insurance is a term life insurance policy where the premium will stay the same every year throughout the term of the insurance policy. Voluntary term life insurance is an opt-in program that employers offer employees. If accepted, the employee gets a discounted rate on a term life insurance policy that’s paid for through payroll deductions. There are several key differences between term life insurance and permanent life insurance. Term life insurance expires at the end of the term and doesn’t have any cash value. Permanent life insurance can build equity and remains active as long as you’re making payments. Simplified term life insurance is a term life insurance product that you can get without going through much of the process a normal term life insurance policy might require. For example, you may be able to get it without a medical exam or other checks normal term life policies require. It can be hard to choose the right insurance policy. This section will help you decide which insurance policy is best for you. That depends on what you’re looking for. State Farm is good if you want to bundle policies, while New York Life is good for financial strength. Transamerica Corporation has the best deals for people over 50 and AIG is noted for their excellent customer service. The best way to find out how much term life insurance you need is to subtract your long-term financial obligations and then subtract your assets. This will give you the gap that you’ll want to fill with a term life insurance policy. This section covers other questions about term life insurance. Use it to answer questions you can’t find in our other sections. Globe offers both term and whole life insurance policies. These range in value, up to $100,000 for term life to $50,000 for whole life insurance. Term life insurance policies have an initial period where you’ll face a steep penalty for canceling. After that time, you can simply notify them that you wish to cancel. That depends on your policy. Your term life insurance policy is purchased for a specific amount. For example, a 10 year $50,000 term life insurance policy will pay out $50,000 in benefits in the event of the death of the insured individual. Not in most cases. If your term life insurance policy is convertible to a whole life or permanent life insurance plan, then you can borrow against its value. However, you’ll have to convert the policy first before you can borrow against it. Usually not. Term life insurance doesn’t have any cash value, so you can’t borrow against it. Some policies can be converted to whole life insurance. If you convert your policy, you can then borrow against it. That depends on your financial situation. If you have a gap between your long-term financial obligations and your current assets, then you can take out another term life policy to cover the gap. If you don’t have a gap, then you may not need a new term life insurance policy. In this frequently asked question section, you will find general questions pertaining to whole life insurance. Whole life insurance is a type of life insurance policy that is permanent. It is an insurance policy that remains in effect for as long as the premiums are paid. It also pays a benefit on the death of the insured person and can accumulate cash value over time. It depends. The people who benefit whole life insurance policies the most are those with high incomes, those who have maxed out tax deferred accounts or those who have a dependent with special needs who will require care even after you are gone. A whole life insurance policy is more expensive than other life insurance policies. If surrendered early, the cash value of a whole life insurance policy is low. Most people tend to abandon their policies due to the expense. A whole life insurance policy works be providing life insurance coverage to the insured for the remainder of their life for as long as the insurance premiums are paid. This policy accrues cash value over time which can then be used upon death of the insured. Modified whole life insurance is an insurance policy with a premium amount that is lower during the first few years of the policy before raising a bit higher throughout the remainder of the policy’s life. A whole life insurance policy will stay at the same premium price for the lifetime of the policy. Some of the premium paid will go into a tax-deferred savings account that builds interest. Any money is protected from fluctuation in the stock market. In order to borrow from your whole life insurance policy, you will need to contact a representative from the insurance company directly. From there, you will need to figure out how much of the policy you want to borrow against, set up repayment terms and sign any contracts for the loan. Whole life participating insurance is a type of insurance that pays the dividends directly to the holder of the policy. These dividends are generated from profits of the insurance company and that is paid out every year for the entire life of the insurance policy. The best way to buy whole life insurance is to find a reputable company online or in your local area. Some of the most popular companies that offer this type of insurance can be find online. Guaranteed whole life insurance is a type of life insurance policy that is guaranteed to remain in force throughout the insured’s lifetime. This remains so as long as the required premiums are paid for. Whole life insurance is a type of insurance policy that is permanent with the same premium for the lifetime of the policy. Universal life insurance is similar to whole life insurance by only accumulating a cash value over time that can be withdrawn or used. Yes. While you can cash out a whole life insurance policy, you can only withdraw a limited amount from the policy. Typically, the amount you can withdraw is the amount of premiums you have paid into. If you cancel a whole life insurance policy, you need to ensure you have a new insurance policy in place, so you don’t go without life insurance coverage. If you cancel a policy during the first 1 to 3 years, you will have to cancel during the surrender period which will have its own set of rules depending on the insurance company. MassMutual: best for getting more cash value. Northwestern Mutual: best for pricing. New York Life Insurance: best for more returns on dividends. MetLife Insurance: best for insurer benefits. Transamerica: best for final expense coverage. Mutual of Omaha: best for having no required medical exams. The best way to use whole life insurance to pay for college is to borrow against your existing policy. To do so, you will have to have accrued a certain amount in cash from premium payments and will have to contact an insurance representative directly. In this frequently asked question section, you will find answers of whole life insurance benefits questions. Whole life insurance is a good investment if your household income is more than $60,000 a year. If not, it may not be worth the investment to pay the same expensive premium throughout the entire life of the policy. Whole life insurance builds cash value that can be borrowed against in the future. Yes. If you can afford the expensive premiums for whole life insurance, it can be a beneficial addition to your current retirement plans. It is a great way to save money by buying term. It is recommended to add your child to a life insurance policy sooner rather than later. A whole life insurance policy can be used as a means to provide a savings vehicle and it can help a child qualify for more life insurance in the future. This depends on the financial stability of the parent. While it can help the child in the future by starting them early on a whole life insurance plan, it can be an expensive monthly premium for the parent to afford. In this section, you will find questions pertaining to the prices of whole life insurance policies. The cost of whole life insurance can range in price depending on the company you purchase a premium from. Most insurance policies have an annual cost of $8,230 per year, equaling to around $685 a month. Yes. In addition to a death benefit as a cash value, a whole life insurance policy builds cash value over time that can be borrowed against. The cash value can be equal to the amount of premiums you have paid into the policy. In this section, you will find questions pertaining to the difference between whole life insurance and term insurance. Term life insurance-an insurance policy that pays a benefit in the event of death of the insured during a specific term of the policy. Whole life insurance-an insurance policy that pays a benefit in the event of death of the insured as well as accumulates a cash value. The best insurance out of term or whole life insurance is whole life insurance. This is because it can accumulate a cash value the more the premium is paid, and which can be borrowed against in the future. The best type of insurance to purchase is whole life insurance. This is especially true if you need to borrow against the policy in the future. However, if the insurance premiums are too expensive for you, it is recommended that you purchase term insurance instead.